EnCorps helps solve California’s critical shortage of STEM teachers by recruiting and training qualified STEM professionals and industry retirees and placing them in public school classrooms. Making the jump from science, technology, engineering and mathematics (STEM) careers into teaching is not as simple as trading in a lab coat for a SMART Board. 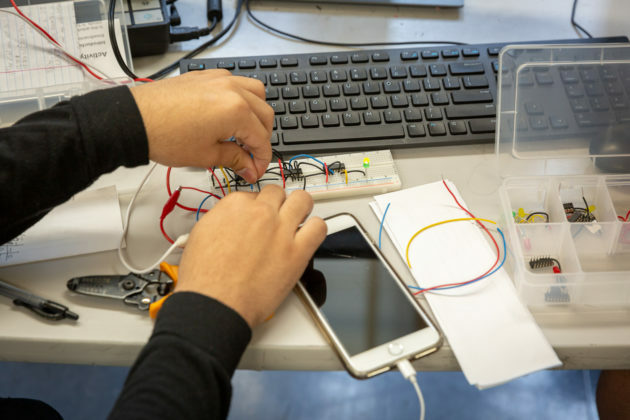 The EnCorps STEM Teachers Program is working to end California’s STEM teacher shortage by giving professionals a better pathway to the classroom. 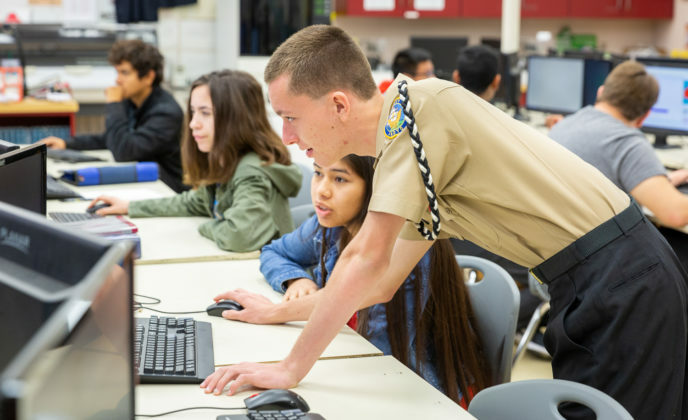 “Changing careers is certainly not easy, but it’s not impossible if you have something that you love, that you have a passion for and you’re willing to make the sacrifice,” Corona High School long-term substitute and EnCorps Fellow Erika Parker said. 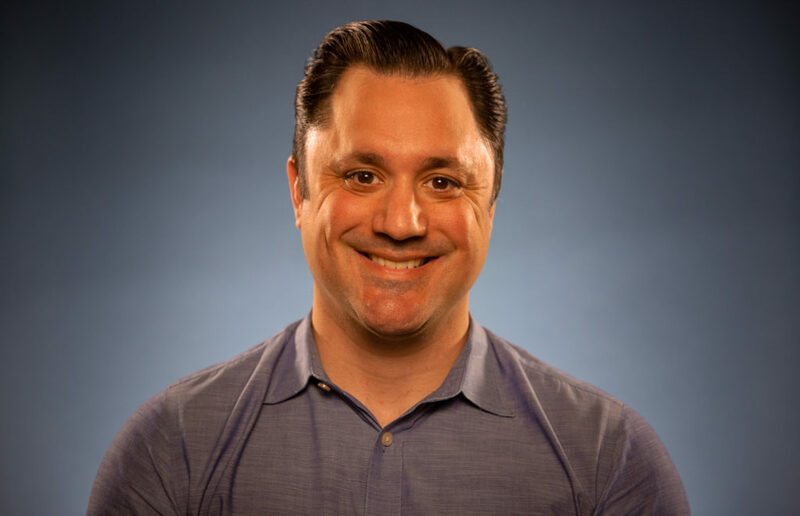 The same scenario applied to EnCorps Fellow Ryan Flores, who had more than a decade of experience in aerospace engineering before becoming a full-time teacher of math and science courses at John Muir High School in Pasadena. “It is super difficult on its own, but changing careers into a teaching profession, somebody needs to help you through that,” Flores said. 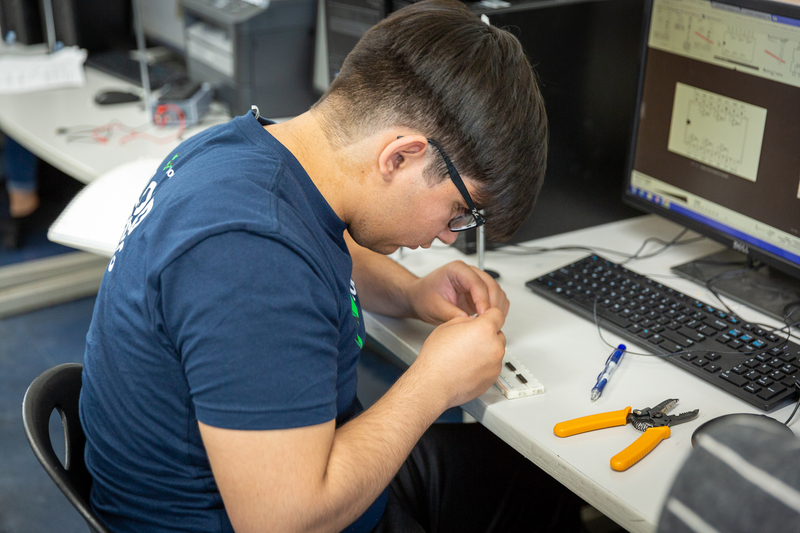 Ryan Flores with Digital Electronics students at John Muir High School. Photo – Jonathan Barenboim. Both teachers found themselves at critical points in their professional lives where they couldn’t continue their career path but wanted to apply their knowledge and skills in new ways. Through the EnCorps program, they learned how to deliver their expertise and knowledge to the next generation of STEM professionals. With an estimated 3.3 million jobs in science, technology, engineering and mathematics-related (STEM) jobs going unfilled in the United States 2016, according to data from Randstad North America, experts have sounded an alarm about an upcoming STEM skills gap crisis. 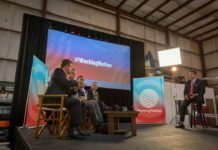 There are not enough skilled workers available to take on these roles, which are arising in more industries outside of technology. 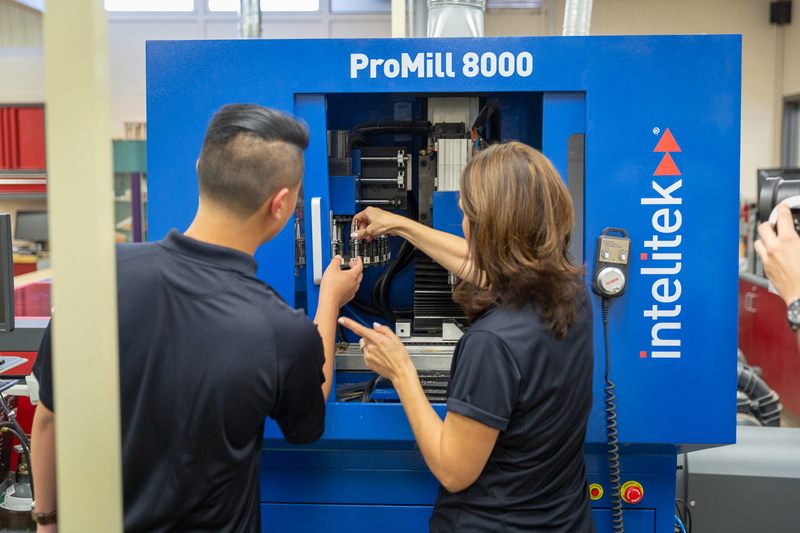 While employers and policymakers are wrestling with the implications of this labor shortage, one overlooked piece of the equation is the education system. Lansing, who started out as a math teacher, said that she took notice of the teacher shortage in California when she retired from the film industry and was looking for another venture. 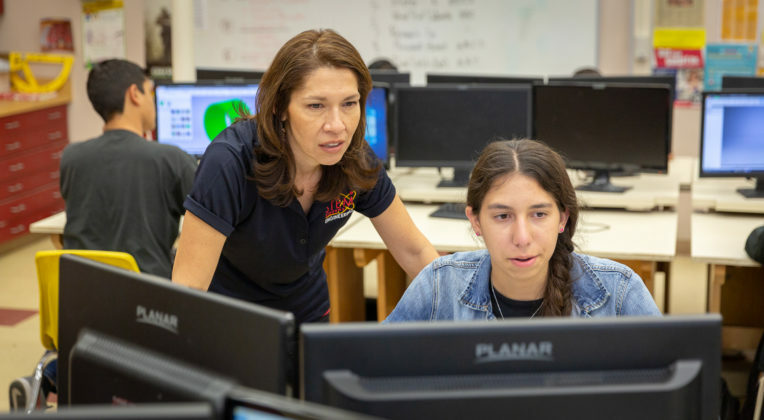 According to the California State University’s Mathematics and Science Teacher Initiative, the state will need 33,000 math and science teachers by 2028. Lansing said she was shocked to discover deficiencies in STEM achievement by students and the struggles of underserved communities to attract and retain qualified STEM teachers. That gave her the idea to launch the nonprofit back in 2007. EnCorps has since expanded its mission to convert retired STEM workers into full-time teaching and tutoring roles to include younger professionals and veterans who want to make the transition. Since the program began, more than 750 EnCorps Fellows have become full-time teachers, tutors or mentors in high-needs schools impacting the lives of more than 60,000 students. “People who have had twenty years of experience in the private sector in math or science have a passion for it, and they love the subject. And they want to pass on their passion,” Lansing said. EnCorps Fellows Parker and Flores approached their decision to become teachers in different ways, but the program helped guide them into their second acts by providing a continuous support system. Through EnCorps, they have discovered within themselves a passion that is transmitted to their students and is inspiring them to consider engineering and technology jobs. In some ways, Erika Parker’s decision to become a teacher had its foundation in her previous career in engineering. Hewlett-Packard recruited her fresh out of earning her engineering degree at California State Polytechnic University, Pomona. The company introduced her to a position which she had never heard of before, sales engineer, because they saw that she had excellent communication skills that fit the job. She parlayed that opening into a 15-year career as a sales engineer then training instructor for different tech companies in California. Eventually, she landed at a company in Corona where she would produce training seminars for other engineers. “There was a lot of public speaking involved, but with the technical backgrounds, I had to give presentations that had very high technical information to present and to train engineers in different levels of software or hardware or system integration,” Parker said. Along the way, she and her husband Mario Martinez started their family and had three children: Aaron, 16, Cosette, 12 and Joshua, 8. When Joshua was born, Parker decided that she would have to leave her career briefly to be a stay-at-home parent. She didn’t want to abandon her career, but she realized she couldn’t sit at home either. Parker then tried to re-enter the workforce as a sales analyst for Toshiba. The experience didn’t mesh with her family obligations. Parker got the inspiration to become a teacher when she attended a science fair with her son Aaron. She observed a robotics program there, and it gave her the idea that she should start one at Aaron’s school. Within two years, she developed the school’s robotics program from scratch and led them to win a state-wide competition. Though she had already begun integrating herself with the California education system, she didn’t know how to become a teacher. While researching online, she found EnCorps and saw that they would give her the information she needed. EnCorps would provide her the roadmap to the teaching profession. They show which colleges offer master’s programs in education or certification classes. 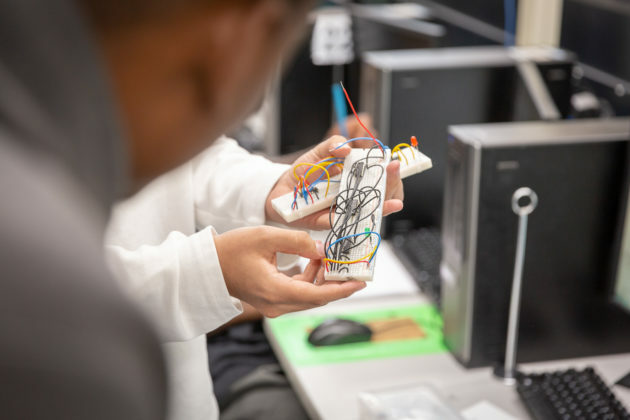 EnCorps offers residential programs and training seminars throughout the state where Parker and other STEM professionals learn pedagogy and the classroom management skills that come with the profession. “With EnCorps, it’s continuous. 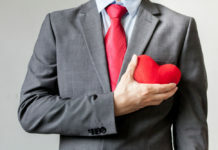 They continue giving you newer tools, better tools, and provide great quality personnel with the people they invite to speak at their summer residential or spring residential programs where you get to learn all these tools on what to do, what not to do, and how to make you successful as a teacher,” Parker said. 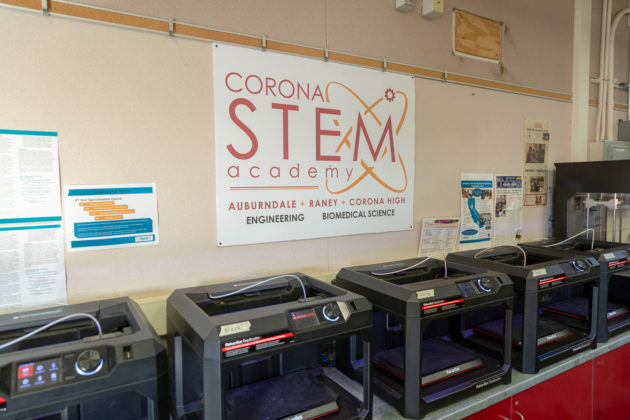 EnCorps connected Parker with Corona High STEM Academy teachers Eric Lee and Christian Johnson, and she began shadowing their classes in 2016. The observations helped her try out the teaching profession while she kept up with her kids’ busy academic and sports lives. 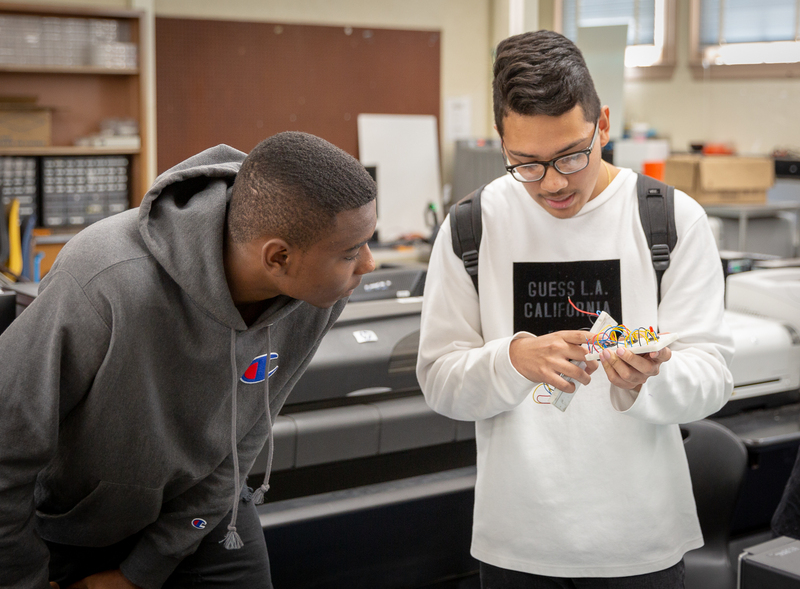 She observed their classes one to two times a week and instantly developed a rapport with Lee and Corona High’s engineering students. “Eric was very kind to allow me to be part of his classroom to observe his children, his students to be part of this wonderful lab that he has and teaching me all the tools that he has in this wonderful lab,” Parker said. The students of the mostly-Hispanic school see in Parker someone who is more representative of the community, according to Lee. “Erika brings a lot of things to the table. She’s a female, which most of my students aren’t familiar with a female engineer. She’s bilingual, which is great for our population. And she’s just got a great personality,” Lee said. When Lee had to take a medical leave of absence at the beginning of the 2017-2018 school year, and an interim substitute could not continue, Lee said that he begged the district to bring Parker on as a long-term substitute. He was worried that since she had not completed her student teaching assignment, the district would not allow her to take over his classroom. But Parker’s connection to the STEM Academy and the students were strong enough that the district found a way for her to continue teaching Lee’s students. Though she had been away from the school for more than a year, she picked up right where she left off. “It’s been a wonderful addition for both of us. She’s learned a lot, and the kids really love her and respect her. She saved my program,” Lee said. 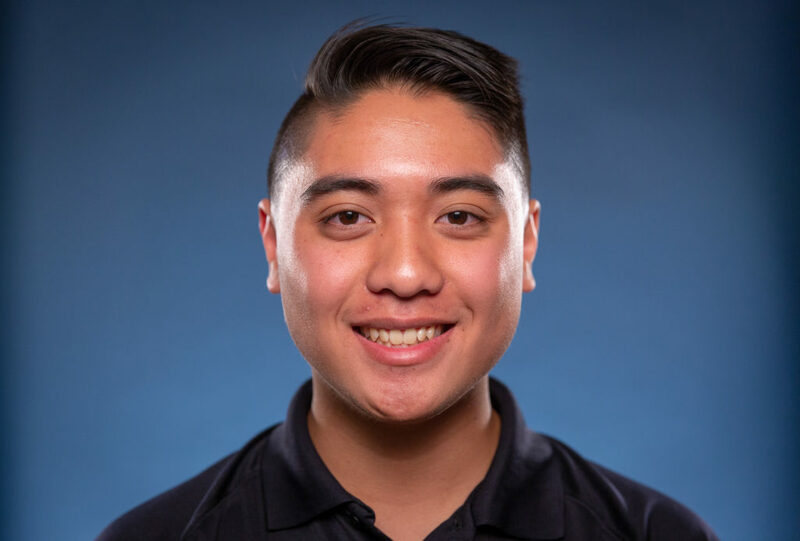 One of Parker’s students, Corona High senior Matthew Morales, said Parker has taken on the role of full-time teacher and has thrived with the hardest part of the profession: classroom management. “She’s really patient with us. I understand that our senior year can get a little rowdy. Her patience is amazing with us. Her attitude and keeping us in check is really motivating,” Morales said. 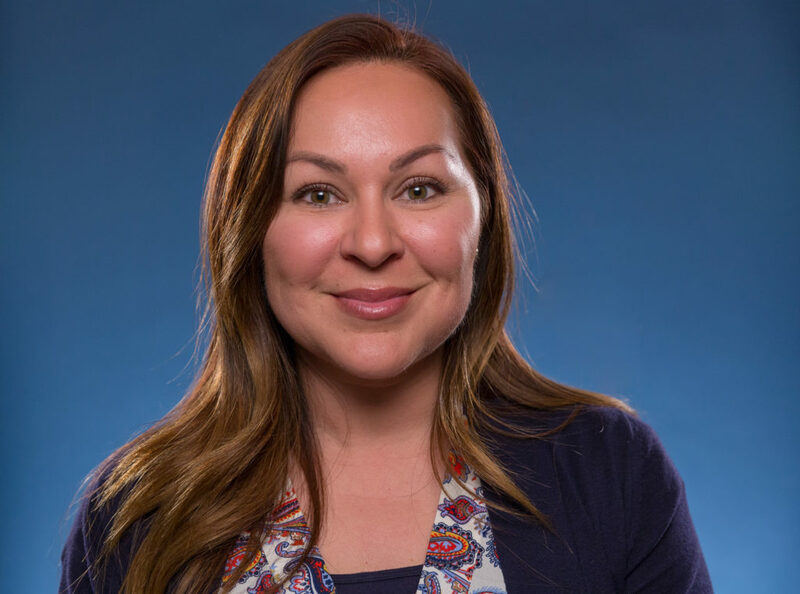 Corona High Assistant Principal Deena Rodriguez said that bringing on EnCorps Fellows like Parker is like hitting a “gold mine.” Rodriguez noted that it is difficult to find STEM teachers because they must have the requisite industry experience and the credential. Parker is on her way to getting her permanent credential, but she has already made her mark at Corona. Rodriguez said she hopes she can become a permanent teacher once she does. “My hopes for Erika here at Corona High School is that, hopefully, we will have an opportunity to have her here permanently. She’s such an asset to the program and, I believe, to Corona High overall. If we’re able to continue to build our STEM program, we’re going to need more teachers like Erika,” Rodriguez said. 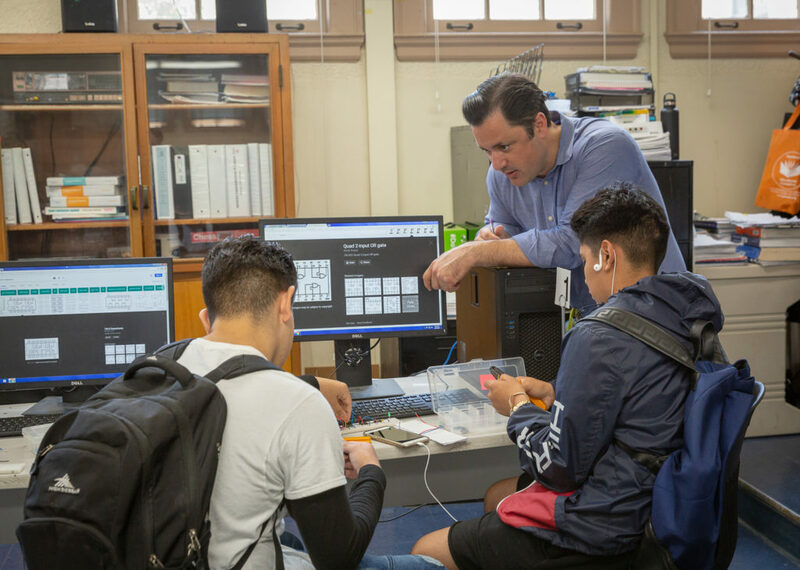 Ryan Flores’ path to teaching digital electronics and advanced math at John Muir High School in Pasadena began when he was an engineering undergrad at Purdue University Calumet back in the 1990s. “I knew someone in the student support services, a family friend, and she asked me if I would want to be a tutor. It was so little pay. It was for disabled students and children of disabled students. I loved it,” said Flores. The experience made such an impact on him that he nearly changed his major to become a teacher. But he was close to graduating, and the lure of a well-paying engineering career beckoned. But the thought of becoming a teacher never left him as he began his first career in aerospace engineering. 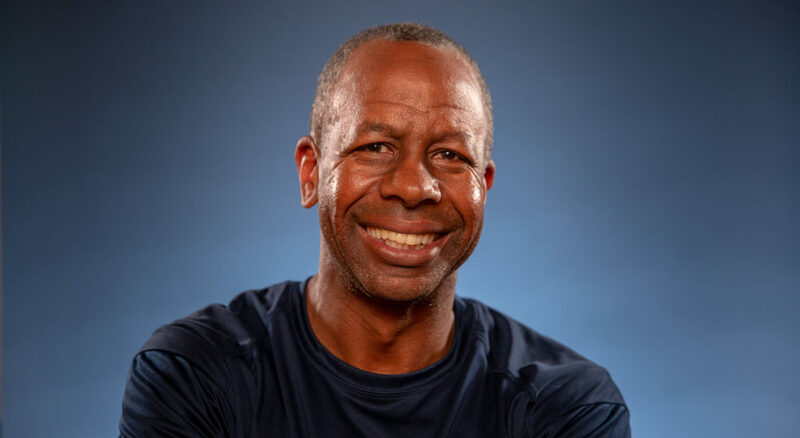 He worked for Raytheon Missile Systems and other aerospace companies in Arizona and California over the next decade, enduring long workdays while earning a great living. He considered getting his math teaching credential in 2002, but his work schedule wouldn’t allow it. Seven years later, the Great Recession would take its toll on the industry and Flores was laid off. The teaching profession beckoned once again. He felt that if he couldn’t follow his dream, he would have his engineering career to fall back on. “I was already in my early 30s, and I thought if I’m going to do this I need to do it now. And then if it doesn’t work out, I can always go back, but it did work out,” Flores said. With no job and no job prospects, Flores started out as a private tutor but wanted something more. He began to substitute teach, and word got around about his proficiency in teaching math. Not long after he started, he was teaching the subjects he wanted. “That was a big step, but I knew the minute I got in the class that first day that it just felt right. I just wanted to do it again,” Flores said. He became an EnCorps Fellow around the same time he became a substitute teacher. Flores enrolled at the University of Southern California to get his master’s in education, but the steep price tag was too much for him to commit fully. 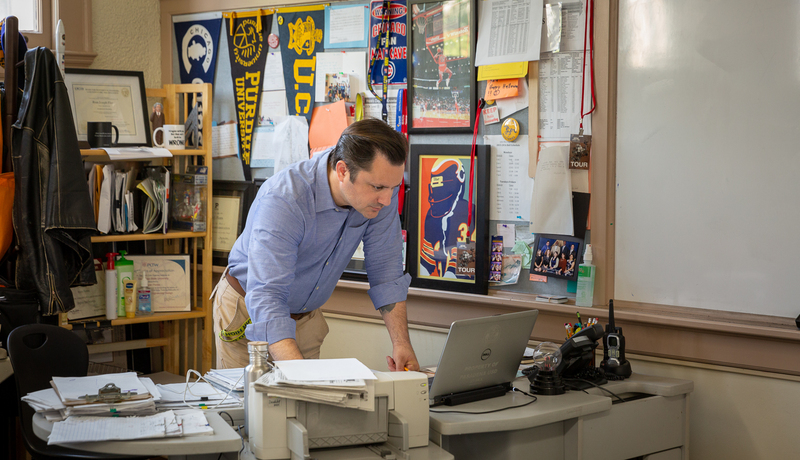 EnCorps showed him a more affordable credentialing program that would serve his needs and then connected him to guest teaching opportunities to get him acclimated to the classroom environment. 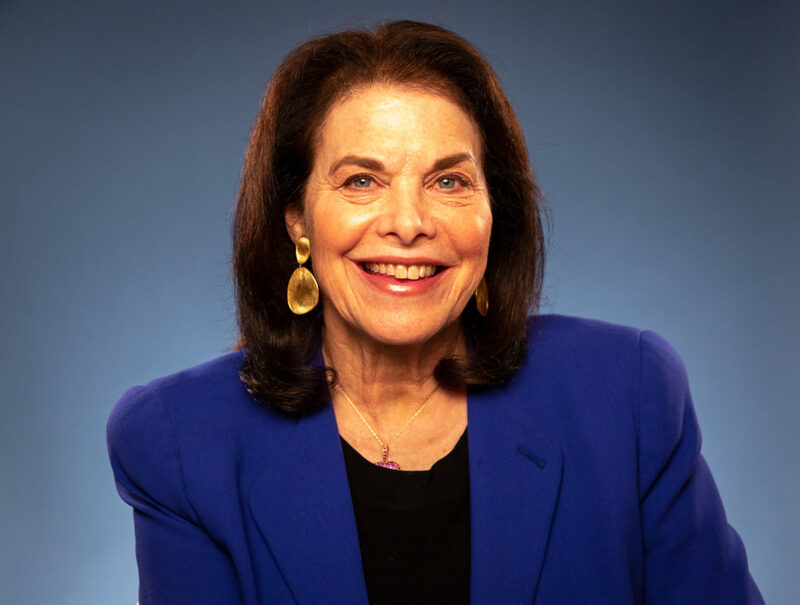 “When I had the opportunity to guest teach and guest tutor, it really connected me with that passion. I felt so passionate about it when I had those opportunities,” Flores said. 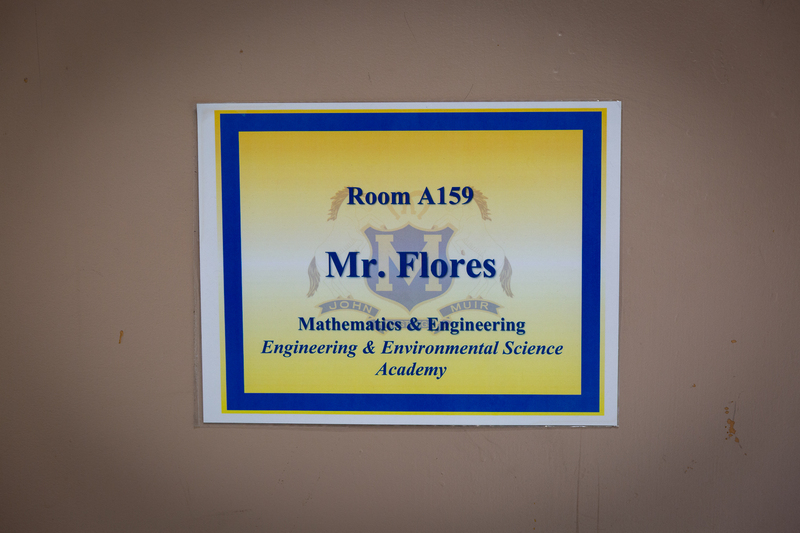 Flores joined his EnCorps cohort at its professional development workshops where he built upon his teaching skills. The EnCorps residencies and workshops are free for all fellows, providing that EnCorps Fellows become teachers or tutors in underserved schools. According to EnCorps, training a STEM professional to become a teacher costs $10,000. This funding comes from the generous support of donors and corporate sponsors like AT&T, Bank of America, General Motors and Lockheed Martin, to name a few. 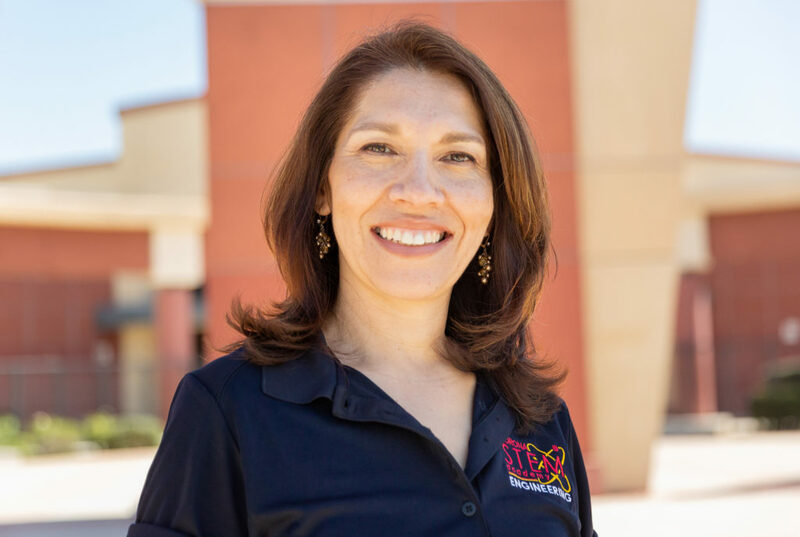 “You would have everything in these workshops ranging from classroom management to addressing English language learners and addressing different intelligence types in your classroom,” Flores said. 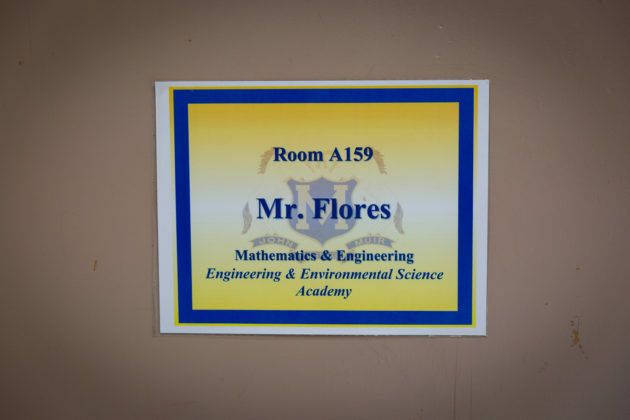 But the sharp pay disparity between his old engineering career and teaching made Flores hesitate and reconsider implication of his decision. 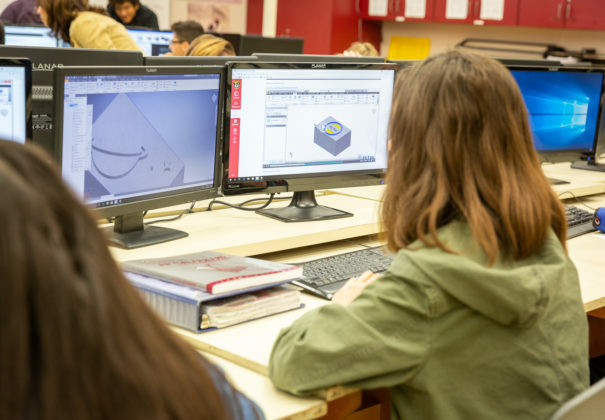 The economic reality of leaving a well-paying STEM job is something that prevents many from considering education careers, according to John Muir High Assistant Principal Brian James. Flores also had a difficult time navigating the credentialing process. 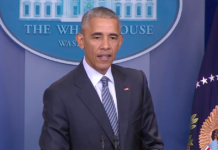 He said that people don’t realize that it is an intensive two-year process of exams and classwork to earn the credential. When he couldn’t obtain an internship to teach math and satisfy the final part of his certification program, he had to get a temporary certification to teach engineering courses. This led to him to a full-time position teaching Digital Electronics at John Muir High in 2015. He finally obtained his math certification last January after taking the course a second time. Flores credited EnCorps for supporting him throughout his journey. Flores is passing on the generosity of the EnCorps program to his students. He said he is available after school every day to help students with their math skills and he is always willing to talk about his aerospace career. For Flores, getting on the right career path and into the classroom was worth the trouble of going through the career transition. EnCorps was with him through every step of the process, nurturing his passion and guiding him to the career he had wanted since college. Join the Conversation: Tell us your thoughts about the latest Do Something Awesome video and the EnCorps STEM Teachers Program on our Facebook page. EnCorps helps solve California’s critical shortage of STEM teachers by recruiting and training qualified STEM professionals and industry retirees and placing them in public school classrooms. 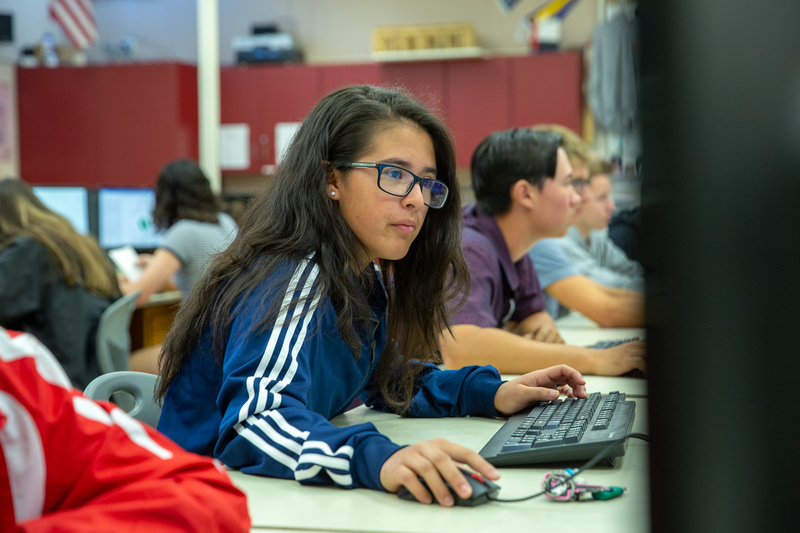 Our latest mini-documentary, “Educating from Experience,” follows Erika Parker and Ryan Flores as they transition from their successful careers in engineering to become STEM teachers at a local high school – a pathway made possible by EnCorps STEM Teachers Program.